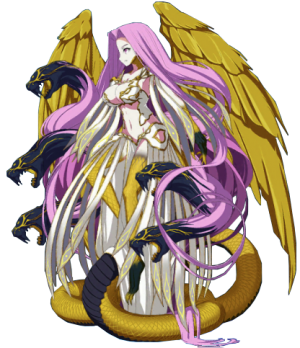 This Article is for the 4★ Gorgon, for the 3★ version see Medusa, for the 4★ version see Medusa (Lancer). Apply Guts to yourself. (5 turns). Gain 3.8% NP Gauge per turn. All allies gain 10% NP charge. All allies gain 15% NP charge. Increase Buster Card performance and NP Acquisition of all allies by 10% while on the field. Her True Name is Medusa. What remains after a cursed maturation. For reasons not quite understood, her original monstrous aspects have grown tremendously in power. 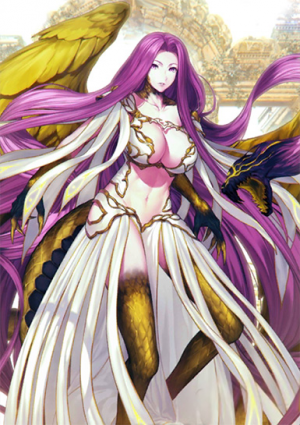 She is very close to transforming from a goddess to a pure monster, Gorgon, and should not normally be able to be summoned as a Servant. -In this state, she is worthy of the title Queen of Demonic Beasts. If you include her non-human parts, her weight and height would become...fairly substantial. 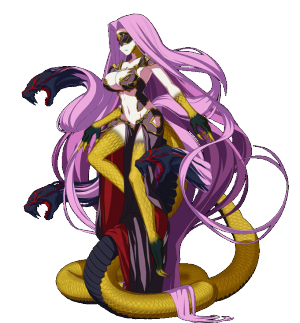 She has manifested in a form extremely close to the monster known as Gorgon, and would normally be a threat to humanity. Although she has been summoned as a Servant by Chaldea's system, the utmost care will still be necessary. Letting one's guard down will be fatal, even for her Master. Indicates that a hero or god became a monster during their lifetime. By emphasizing the truth about their past, this skill greatly enhances a Servant's abilities. 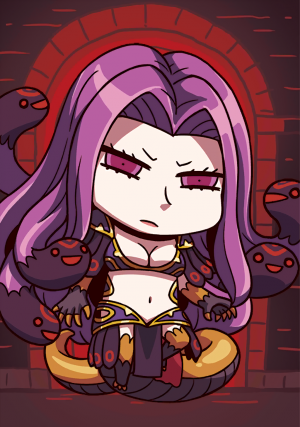 Gorgon's stamina and strength are boosted to ranks absolutely impossible for any human. She possesses "Cybele," among the most powerful Mystic Eyes. However, they are normally sealed. A roar that inspires instinctual fear in any living thing that hears it. 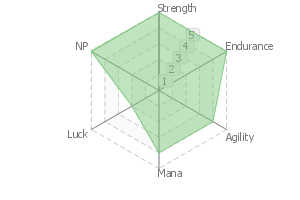 Causes fear to all enemies, continuous DEF down, large momentary DEF down, curse, etc. But it is not used in this game. Enforced Seal: Demonic Legion Temple. What remains after she abandons the last traces of the goddess within her. She temporarily materializes the Gorgon monster, and dissolves any life that exists within the target area. Any human will die instantly, and Servants take massive damage. 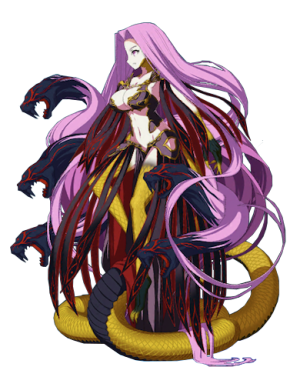 Though it is strengthened version of Rider Medusa's Noble Phantasm, Blood Fort Andromeda, it does not require any time to charge and can be used simply by releasing its True Name. Its effect on inorganic targets is diminished. If, by some one-in-a-million chance, she is able to deepen her bond with her Master, that Master will gain immense power. But it should be kept in mind that she is utterly different from humans, and is something abnormal. Her compassion, her love, is not made to co-exist with humanity.